Back in my student days, I recall only two seminars that have really stuck with me to this day. One was seeing the genius women’s health advocate Ruth Trickey talk all things women’s endocrinology which blew my mind and forged my resolve to work in women’s health. The other, bizarrely, was one on perimenopause and menopausal endocrinology. But this particular lecture had me hooked. Because for the first time, it taught me how intrinsic the adrenals were in the management of perimenopause. And it also taught me that women were different to men. And as such, we need to be treated differently that we had historically been treated. It can start from your late 30s to late 40s/early 50s and last anywhere between a 2-3 years up to up to 12 years for 1 in 10 women. For most women, symptoms of perimenopause will last around 4 years, and once you haven’t had a period for more than 12 months, it’s generally considered that you have reached menopause. Perimenopause can be a time where your cycle fluctuates greatly and it’s not uncommon to experience longer, shorter or totally irregular periods with bleeds becoming lighter or extremely heavy. And while this is a normal and natural progression of the loss of progesterone and oestrogen, the “in between bit” can leave us also suffering through hot sweats, night sweats and insomnia, weight gain, increased anxiety, depression and a prevalence of autoimmune conditions like Hashimoto’s. And a lot of these latter symptoms have to do with the tie back to our adrenals and the link to cortisol. Another reason behind the need to nurture our adrenals is because once our ovaries stop producing oestrogen, progesterone and testosterone, we’re left with the adrenal gland to support whatever hormones we need in the second phase of our life. And the head honcho is a steroid hormone called DHEA. DHEA is the “mother hormone” and it can convert into oestrogen and testosterone. However, it starts its natural decline in our 20s and unfortunately it’s hard to get it back. So the better our adrenal function and the less we demand our adrenals pump out cortisol, the better the production of these hormones to help us through menopause. Herbs like: Tribulus, Withania, Korean ginseng and Rhodiola increase both DHEA and testosterone. Testosterone is an anabolic steroid hormone meaning it likes to build. And both of these hormones are necessary for improved bone density, neuroplasticity, increased muscle mass, energy reserve release and mood and motivation through peri. We can also look to natural treatments to help support our adrenal and nervous system to help with mood, fatigue and overall coping ability. Oestrogen is calming to the nervous system and important in reducing anxiety. Some of the herbs we use to support oestrogen modulation include Wild Yam and Shatavari. So by improving the follicular (or first 2 weeks) phase, we encourage better hypothalamus-pituitary-ovarian (HPO) axis communication, more balanced FSH, better oestrogen levels allowing for a more robust ovulation, a bigger corpus luteum creating more progesterone, allopregnenalone and a better overall luteal phase to support sleep, mood, anxiety and brain health. One of the best herbs to support the HPO axis and increase progesterone is Vitex agnus castus. Vitex helps build a healthy corpus luteum, decreases prolactin which can inhibit ovulation, and increases dopamine which can increase our mood and feelings of pleasure and motivation. Vitex may also helps increase levels of melatonin which is our circadian rhythm hormone that helps us sleep. Both progesterone and oestrogen impact the production of melatonin, so decreases or shifts in these hormones may also reduce the amount of melatonin produced leading to insomnia and a crazy sleep cycle. Some of our best mood supports are from nature and the combo of Hypericum perforatum, or St John’s Wort, and Actaea racemosa, or Black Cohosh have been successfully trialled showing reduced emotional menopausal symptoms and flushing, whilst improving sleep and sexual wellbeing. 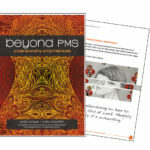 Need help managing your perimenopause transition? 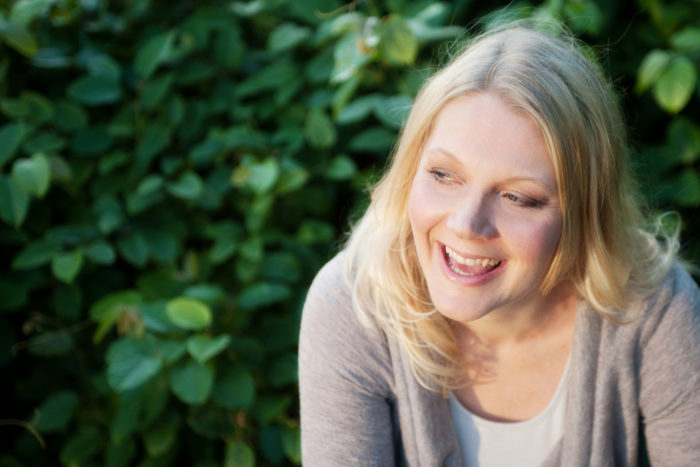 Kate is a qualified naturopath who is passionate about helping women heal from hormonal havoc and inspiring women to know their own power, worth and wisdom.